The Thimphu Festival (Tshechu) is one of the grandest of Bhutan’s festivals and attracts the largest audience. Featuring dances performed by trained monks and laymen in amazing masks and costumes, Tshechus (festivals) are one of the best ways to experience the ancient living culture of Bhutan. A Tshechu is a Buddhist festival in honour of Guru Rimpoche, the saint who brought Buddhism to Bhutan. The Thimphu Tshechu was established by the 4th Temporal Ruler, Tenzing Rabgye (1638-1696) in 1670. This festival also provides a great opportunity to witness locals gathered in their finest Gho’s and Kira’s in a celebration of their culture and faith. 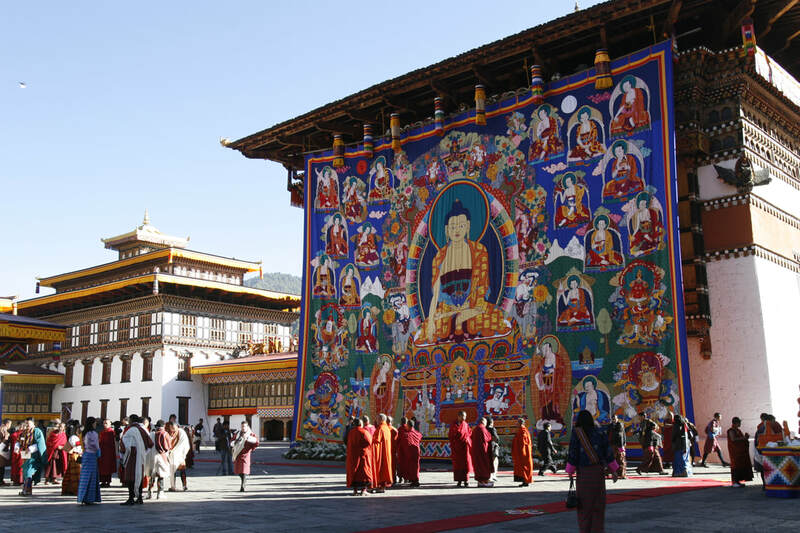 This tour also visits sacred sites in Paro, Thimphu and Punakha. The ‘Thimphu Tshechu’ festival tour attends one of Bhutan’s biggest festivals. Join locals in a colourful celebration of Bhutanese culture and faith. This Bhutan tour also explores all of the highlights of Bhutan’s western valleys, and is ideal for those with a limited time frame. Witness sacred dances and rituals performed by monks and laymen in elaborate, colourful costumes.
. 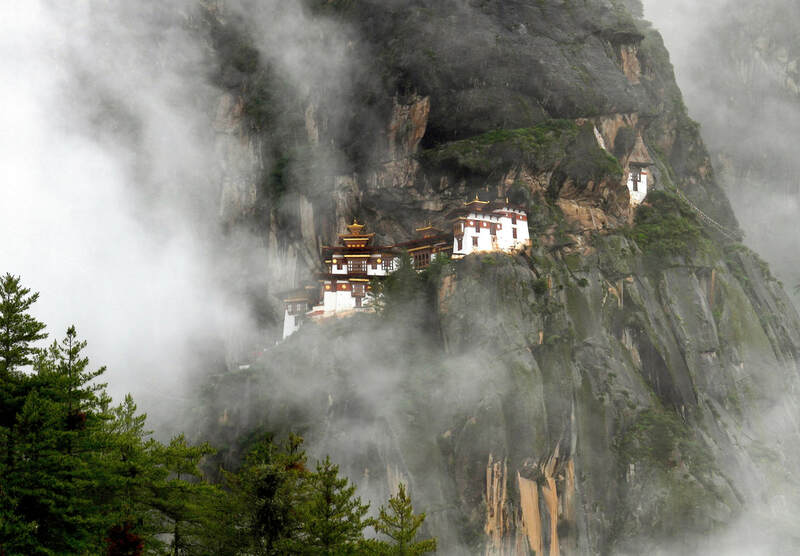 Hike up to the famous Taktsang Monastery (Tiger's Nest), perched on a cliff 900m above the valley floor. Attend prayer ceremony to bring peace and harmony in the world offering of butter lamps by the guest. Accommodations in 3 Star hotel of Bhutan based on twin/double sharing. Entry fee to all the museums and sights. Any other special request on the tour programme can be adjusted. Personal expenses, Others meals and any others those than mentioned in itinerary. Trip cancellation travel delay or baggage insurance.  Confirmation of room & price are subject to space availability at the time of booking only.